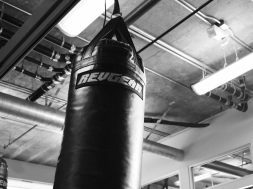 Boxing Gear Guide with Nik Gittus from REVGEAREUROPE on Vimeo. Head coach at Wallsend Boxing Academy Nik Gittus knows what you need to make your boxing game great from beginner to ring professional. Here’s what he has to say in his boxing gear guide. 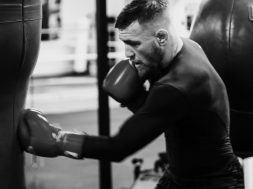 When you first step foot through the doors of an academy, you will need a pair of hand wraps and gloves. Ideally, you need 10 or 12oz boxing gloves and a pair of boxing boots. 10 or 12oz gloves are ideal for hitting the bag and pads, which is what you will be doing for the first few months. 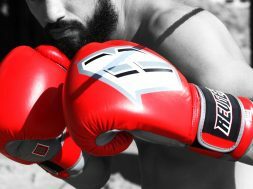 The gloves and wraps will provide you with all the protection you need for your wrist and knuckles. As you progress onto sparring, you will need 14, 16 or 18oz gloves. Don’t scrimp and save on a gum shield (mouth guard), get one professionally made if you can. You should also get a head guard. There are two types: open face, or one with a bar that comes across the face, or has cheek pieces. The open faced head guard is used in amateur boxing, whereas professional boxers use the kind with the bar or cheek pieces. As you start going into competitions, you will need an abdominal protector. Steer clear of the MMA/Muay Thai cup and go for a full waist band with protection for your organs as well. Up to Junior Welterweight (10 stone/140 lb/63.5 kg), 8oz gloves are used in competition and Welterweight and above uses 10oz. All competition gloves are lace ups and are taped over after tying to prevent any injuries to you or your opponent. If you want to set up a gym at home, then you should get a speed ball (floor to ceiling ball) so you can work while reacting at speed.